BrisbaneHotelsAccommodation.com provides you with various accommodation options in Brisbane, Australia. One of the many questions is where to stay. 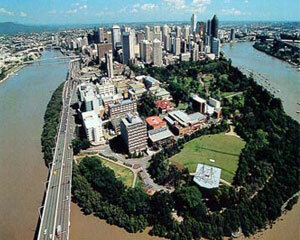 There are the popular tourist cities like downtown Brisbane, the Sunshine Coast or the Gold Coast. You could also try a coastal regional town like Hervey Bay, Rockhampton, Mackay or Townsville, depending on how far north you are able and willing to travel. The stunning coast of Queensland, including Brisbane, boasts some of the best value accommodation in Australia and the choice is endless -- from Budget to Luxury, Motel to Hotel, Apartment to Resort. Do you want to stay in the City Centre or drive north or take a ferry out to one of the amazing Islands? We have the hotels and apartments that can help you decide on where to stay and what to do, while you discover the land or sea of the "must visit" destination – Brisbane, Australia. Visiting Brisbane is like finding yourself in an adventure wonderland. There's so much to do and see, and your every desire is catered for - from quiet strolls along the river to the adrenaline rush of skydiving. A good way to get your bearings when you first arrive is to explore the city by foot, by river cruise or by a speedy ferry. Take in the sights and discover why the river is so central to Brisbane life. For a wider view, take a champagne breakfast balloon flight over the city, or join a day bus or 4WD tours. More unusual tours include historic walking tours, specialist art tours with fine food and wine, adventure trike tours, ghost tours and eco tours. Animal lovers can see Australian wildlife up close at Lone Pine or Alma Park Zoo. For the outdoors types, head out to sea on a fishing charter, or set sail on a sailing tour or cruise of Moreton Bay. And exploring nearby North Stradbroke and Moreton Island's beaches by 4WD is a must. Brisbane is located in the southern hemisphere and therefore Spring begins in September, Summer begins in December, Autumn in March, and Winter in June. Visitors from colder places should remember to pack sunscreen and a wide brimmed hat as Queensland has the highest rate of skin cancer in the world and it is very easy to get sunburned, even in winter! Many northern visitors have arrived and gotten sun stroke on their first day and then had to spend most of their holiday inside recuperating. During hot weather, drink plenty of fluids and stay indoors or in the shade. Click here for today's weather in Brisbane. Relax and Rebalance, based in Brisbane, offer mobile massage and beauty services, straight to your hotel room or apartment. Whether your on the Gold Coast or Brisbane for a wedding, a special occasion, or a corporate relocation looking for in room services, Relax and Rebalance provides the perfect solution, and they come to you! Booked a hotel or apartment for your hens night? Book Hens Heaven as well for the perfect pamper party! Hens Heaven know how to throw the perfect party - whatever the occasion. The mobile day spa team will come to you day or night for hens parties, baby showers, corporate events or for any other occasion or long term requirement. Allow us to assist you with your Brisbane hotel and accommodation needs in a personalised and professional manner. We will do our best to make sure you get the best rate available. Our strong relationship with accommodation providers in the area will get you a great rate on accommodation while you are getting settled. We also can recommend several reputable relocation professionals who will ease the transition for you and your family.